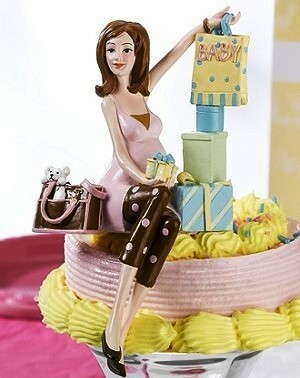 Decorate the baby shower cake in style with this painted resin cake top of Mommy-to-Be with her shower gifts. 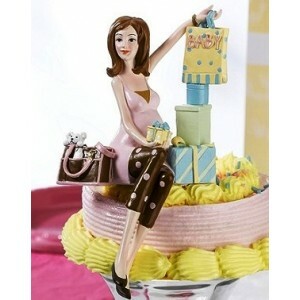 Size: 6.25" (15.8cm) tall and 3.5" (8.8cm) wide, with a 3" long pick for inserting into the cake. This will really add the wow factor to your baby shower cake.